We know you probably don’t want to start thinking of the holidays yet, but truth is, they’re just around the corner. This year, do yourself a favor and get ahead of the rush. Here, we’re helping you with some ideas for the watch lover in your life or your fellow collector. Maybe they’re an avid collector who seems to have it all, or maybe you don’t have the budget to buy them the watch on their wishlist but you’d still like to surprise them with something fitting. Either way, with these gifts, you can still impress them with something that they’ll love. And if you do have a bit of a budget to spend for that special someone, be sure to keep your eye on the website for the annual Bob’s Black Friday sale in just a few weeks. You won’t want to miss it. In the meantime, check these out. Included in our Gift Guide for Watch Lovers is our tan leather strap. 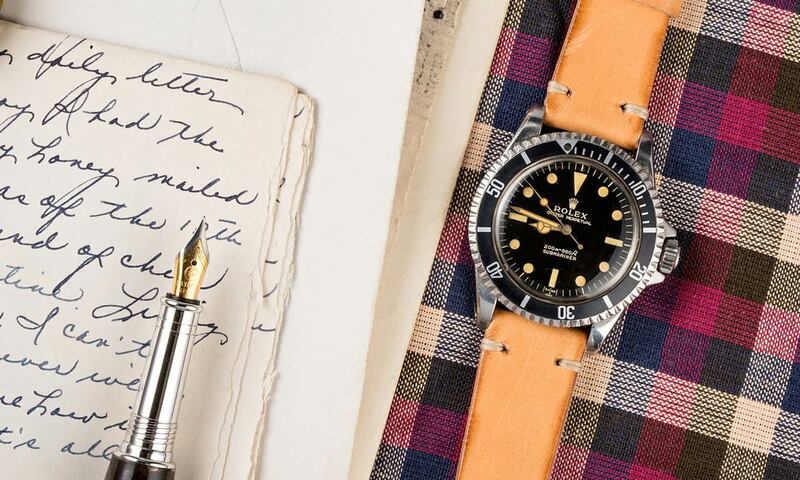 Even a collector’s favorite watch starts to feel a bit mundane after a lot of wear. Help them upgrade their look and feel like they have a whole new watch by treating them to a new strap. We’ve got an extensive collection of high quality straps on the site — everything from a simple tan Italian leather strap with beige stitching to a sporty and fun green rubber strap. Changing the band can give a watch an entirely new feel that any collector will appreciate. Seemingly every watch dealer or collector has one. 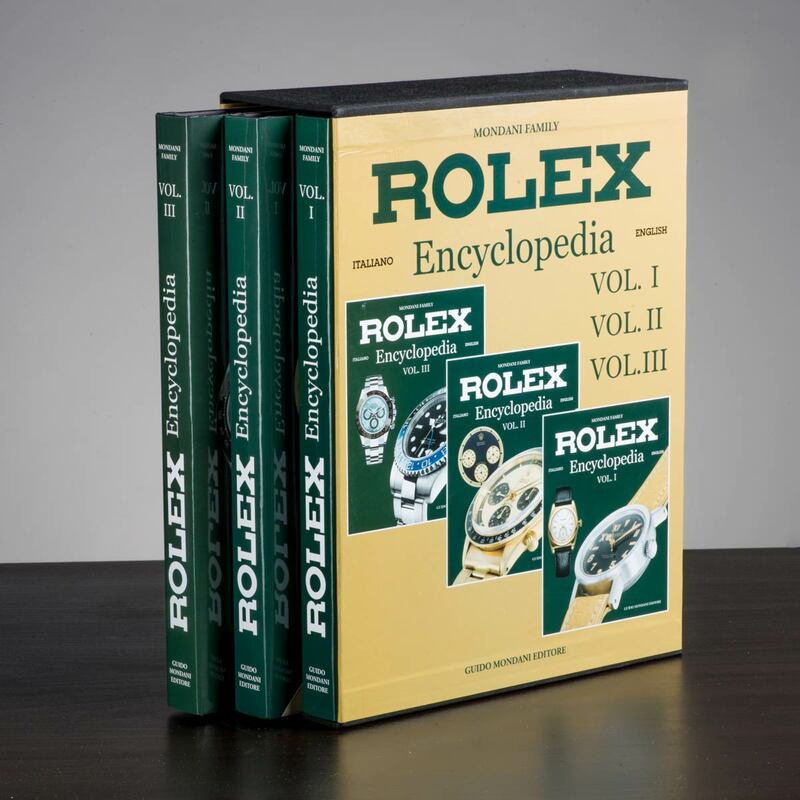 So when the Rolex-aficionado in your life gets their very own Mondani’s three-part Rolex Encyclopedia — they’re going to feel like the real deal. This book is the most complete and updated guide on Rolex watches, featuring both vintage and modern models from 1905 until today. But the best part of this book is that is answers every burning question a Rolex-lover could have — from how many Daytona models there are to the hours it takes to make a Cerachrom bezel. Fair warning, though, this book is going to only make them want to collect more. A watch roll is a great item to have when you want to keep multiple watches with you on a trip. If the watch-lover in your life is also an avid traveler, the watch roll is kind of an ideal gift. With this, they can easily store and carry their favorite timepieces safely and securely while jet-setting, yachting or whatever adventure they’re on next. 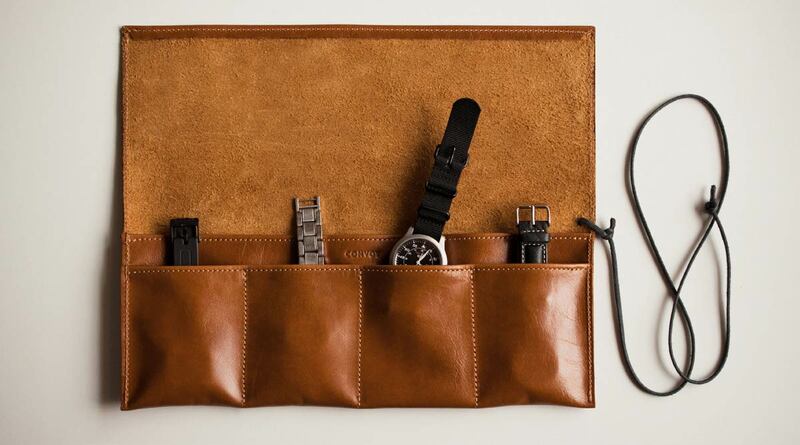 We’d love to get our hands on this buttery-smooth leather watch roll by Convoy. The Italian leather roll is triple-stitched so it’s nice and secure, holds up to four watches, and even has a compartment for extra bands and tools. This might just look like some kind of fancy, futuristic watch holder. But in fact, it’s a watch winder for automatic watches. Since automatics get their energy from the movement in the wearer’s wrist and turn it into energy that keeps the mainspring wound, when the watch sits in a drawer unused, it stops working. 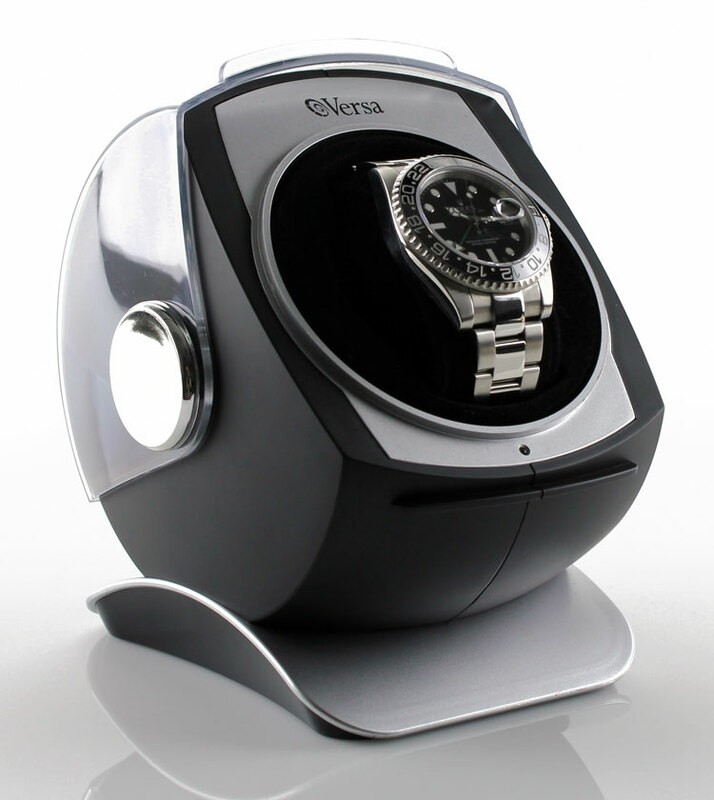 A winder, like this one from Versa, will keep the watch on-time by moving the watch ever-so-slightly. This is a great gift for someone who doesn’t have time to do this themselves. It’s also an excuse for them to get another automatic watch, too, since this one will stay safe and working — right? Okay, this one is for the serious collectors, and it’s a gift they’re going to cherish. This lens will help them see inside their timepieces — getting up close and personal with all the complications they love. The watch-lover in your life can also use it while inspecting their next purchase or checking out other collections. This one by Loupe is so good and high tech, it might be better than the one the dealer uses. It features a carbon-fiber grip, five multi-coated optical glass elements for crystal-clear viewing and even a UV light element to illuminate everything.